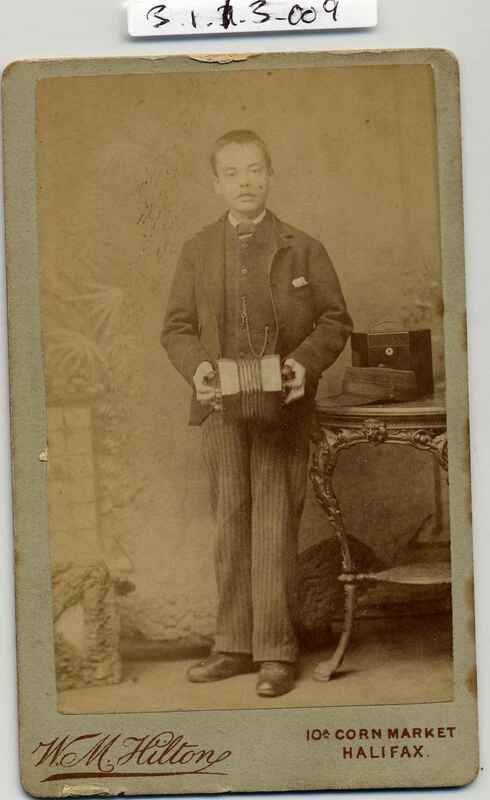 Full Description: A small embossed carte-de-visite of a teenage boy, standing informally, and holding an English -made English concertina, with its case (and his peaked cap) on the nearby table. Embossed "W M Hilton, 10a Corn Market, Halifax". Large fancy photographer's advert to rear. 63 x 105mm.